Asphalt Sealcoating on Airfield, Parking Lot & Driveways | Axtell's, Inc.
Seal Coating offers one of the best alternatives to re-paving on the market. From a cost-benefit standpoint, few things are as cost-effective and value saving over the long run than seal coating. Sealcoating costs pennies per square foot compared to the dollars needed to repair or replace damaged asphalt. 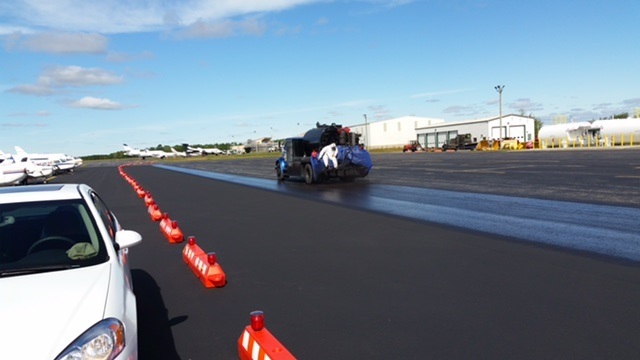 Asphalt seal coating fills surface voids, which reduces exposure to oxygen and UV rays and reduces the depth to which oil or gas can penetrate the asphalt. Sealcoating acts as a waterproofing agent, minimizing the rate at which water enters the asphalt. Sealcoating asphalt prevents the seepage of water and moisture from rain and snow, thus preventing damage from freeze-thaw cycles which is a common reason your airfield, parking lot or driveway begins forming seam cracks or even worse, alligator cracks. Axtell’s, Inc.® offers unparalleled experience and expertise in this field. Axtell’s, Inc.® has been the go-to choice for thousands of customers over the last two decades. We also service GSB-88® coating. 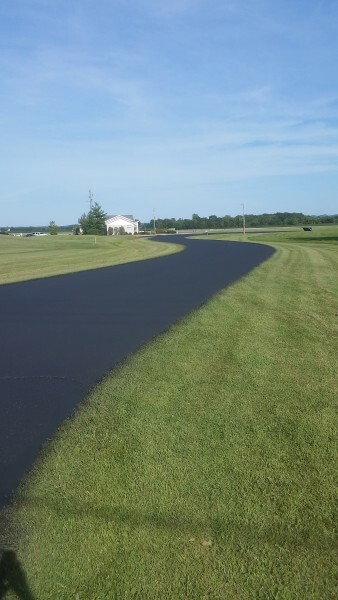 Contact us today to inquire about seal coating options for your airfield!